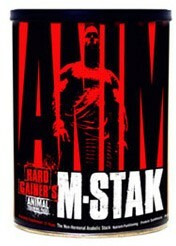 Today I’ve got a quick review for Universal Nutrition’s “Animal M-Stak” non-hormonal anabolic support supplement. 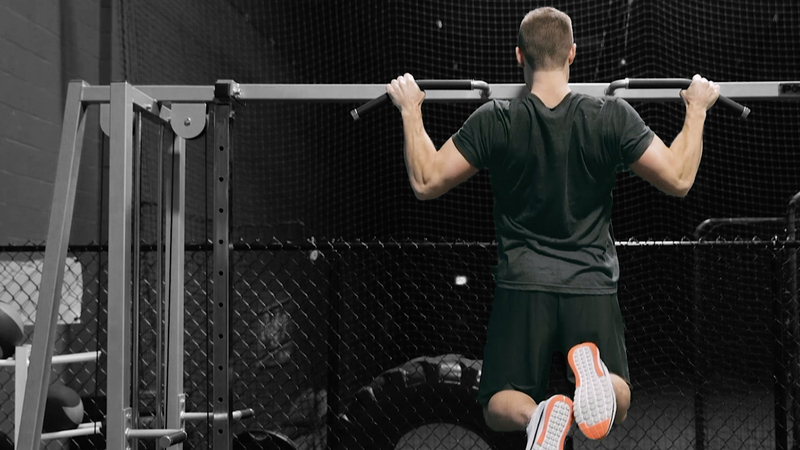 This supplement is made for those looking to build muscle. I am on my last pack of the 21 day “cycle” of Animal M-Stak and I’ve taken it in the past as well so I have a good feel for the product. What does Animal M-Stak do? It is described as a non-hormonal anabolic pack that is loaded with leucine and anabolic flavones, sterones and adaptogens. It promotes protein synthesis and nitrogen retention and aids with nutrient partitioning efficiency. In simpler words this supplement will give your body a better environment to build lean muscle mass. There is also a red pill in the supplement that contains stimulants to give you a “kick” pre workout. You have the option to take the red pill out if you are using another stimulant, which makes this muscle building supplement that much better. How do you take Animal M-Stak? The supplement comes in small packs of 8 pills. There are 21 packs of these pills and one pack is to be taken each day for 21 days. On workout days you are supposed to take it roughly 45 minutes pre workout and on non-workout days you can take it in the morning or early afternoon. You simply swallow all 8 pills with water. You also have the option of taking out the red stimulant pill like mentioned above. Does Animal M-Stak work well for building muscle? I’ve found that my body has responded well to M-Stak over the 21 day cycle. Because it is a non-hormonal product you probably won’t experience huge strength gains, but I’ve noticed small strength gains throughout the few weeks. It has been tough for me to gauge any muscle gains as my weight has stayed consistent, but I’ve noticed a good amount of fat loss so it is safe to say my muscle mass has increased slightly. Overall this is not the type of supplement that everyone who is looking to build muscle must be on, but if you are a hard gainer and need the extra boost to build muscle it is worth the price (assuming you purchase online at BodyBuilding.com for a steep discount). For review purposes I will give it a 8/10. It has some great ingredients for helping build muscles, and can also be used as a pre workout stimulant by simply leaving in the red pill. I recommend Animal M-Stak review to those looking to add some muscle, although I did have more success with Animal Test (but that is more pricey). For those looking for another muscle building supplement I just bought the new and expensive P6 Black anabolic supplement made by Cellucor. My review will be coming within the next few weeks so bookmark this blog.